If there is a deal reached regarding the relationship between the UK and the EU after March 29, 2019 (“Brexit Day”), a transition period will apply that will last until December 31, 2020. 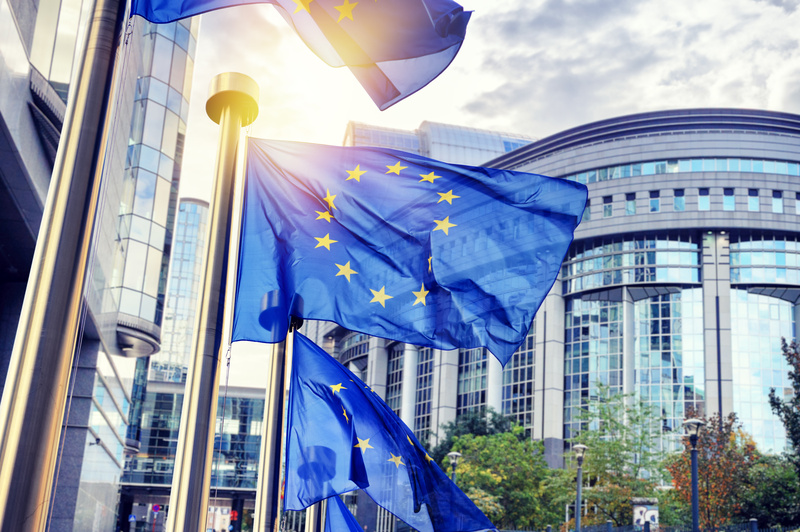 The European Medical Devices Regulation (MDR) and In-vitro Diagnostics Regulation (IVDR) will become applicable in the UK. The Clinical Trials Regulation will most likely become applicable. Should the implementation be postponed until after December 31, 2020, this Regulation will become UK law anyway. A “cliff edge” Brexit is still an option. In early August 2018 the UK Medicines & Healthcare products Regulatory Agency (MHRA) issues three new guidance documents for medical device, IVD and related healthcare sectors to prepare for ramifications of Brexit. Update on the Clinical Trials Regulation during the implementation period. In March 2018 an agreement between European Union and UK negotiators was reached to introduce an implementation period starting March 29, 2019 (Brexit Day) until December 31, 2020. During this time period, most of the current regulatory arrangements would be continued. This transition period is intended to allow more time for negotiating a permanent deal regulating the relations between the UK and the EU. This transition period will apply if there is an agreement reached. However, if the UK leaves the EU without an agreement—the “no deal” or “cliff edge” Brexit—there will be no transition period. The MHRA considers the “no deal” scenario unlikely and does not provide any guidance for the industry to prepare for that circumstance. For medical devices and Notified Body certificates there will be no significant changes during the transition period. In May 2020 the Medical Devices Regulation 2017/745 (MDR) will become applicable. As a result of the agreement on the transition, the MDR will become fully applicable in UK after the official Brexit day. The IVD Regulation 2017/746 (IVDR) will become applicable in May 2022, which falls after the transition period. However, IVDs can already be legally placed on the market if they comply with the IVDR. Therefore the IVDR will also be considered applicable during the transition period. Industry can therefore prepare for full IVDR implementation in the UK in 2022. For British Notified Bodies the transition period means that their designations will remain valid and they can continue issuing certificates for CE Marking for at least until the end of the transition period. For the new Clinical Trials Regulation (EU) 536/2014 (CTR), on the other hand, the situation is less straightforward. The CTR was published in 2014, but its date of application depends on the date by which a fully functional clinical trials portal and database are available. This is planned during 2020, and therefore the CTR will likely become applicable before the end of the transition period. In case this is delayed the UK has agreed to apply the CTR as UK law anyway in order to give researchers more certainty when planning their studies. There will be a problem accessing the database though, although it is expected this will also be solved through negotiations. The MHRA states that it is not clear what will happen with Brexit in the long run. Regulatory divergence cannot be ruled out. However, there is a catch. If and only if the European Court of Justice is continues to be recognized in the UK for the interpretation of laws, British Notified Bodies can remain functioning as they do now. The same holds for UK Authorized Representatives. A market can only function if all parties agree on a single interpretation. It is easy to see that a British judge contradicting the European Court of Justice on an interpretation may result in British Notified Bodies applying rules and regulations in a different way compared to their European colleagues. Something similar would happen to a legal person representing a manufacturer based outside the direct jurisdiction of that market. The problem here is that one of the arguments by the “leave” campaign was about European judges overruling British citizens. Therefore it is unlikely the British parliament will accept an agreement where the European Court of Justice will be recognized. On October 18 and 19, 2018 there will be an EU Summit focused on adopting a draft withdrawal agreement. If no deal can be struck then, it is expected the EU will withdraw from the negotiations because the Member States and the European Parliament need time to vote on it and want time for preparations. In that case there could be no deal, so the market cannot rule out cliff-edge Brexit. Ronald Boumans is Senior Regulatory Consultant at Emergo in The Netherlands.